Boxing is often called Prize Fighting, a term that suggests a fight is taking place with the intention of the combatant’s getting financial reward for their efforts (usually with the lion’s share going to the victor). The first known use of the term Prize Fight came in 1706, though the term Boxing was also well established by then (which is known to have been used from at least 1605). The best fighters took to touring the country fighting in what were known as Boxing Booths and by 1735, George Taylor became the first title holder to do so. They would go from town to town and issue the challenge to the local young men that if any could go a certain number of rounds, they would get a cash reward. When not on tour, fighters would undertake bare knuckle boxing matches against each other in fights that had no weight categories, no limits to the number of rounds and rather than being timed, each round would continue until someone was knocked to the floor. Once the infamous Jack Slack got the ball rolling, boxing became corrupt and as a result lost a lot of its popularity. William Darts (Champion 1766 – 1771), alleged to have taken a dive for £100 after losing the title in the first round to Peter Corcoran and Harry Sellers (Champion 1776 – 1779), who lost in a fight after less than a minute prompting furious allegations of a dive. "I got 50 guineas more than I should otherwise have done by letting George beat me and damn me ain't I the same man still?" 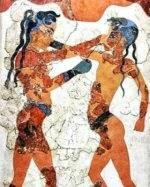 Sports that were similar to boxing were very popular in the ancient world however at the start of the 5th century, the Roman Emperor Theodoric the Great banned the practice because of the excessive violence involved. This ban pretty much stayed in place for over 1,200 years until the sport saw a revival in 17th century Britain. Despite being illegal the boxing scene grew rapidly, especially in London with the first documented account coming in 1681 in the London Protestant Mercury. Christopher Monck, 2nd Duke of Albemarle, arranged the fight between his very own butler and his butcher with the butcher, it seems, being victorious. By the end of the 17th century this new craze of prize fighting in England had taken off so much that bouts were even being hosted and the Royal Theatre. A purse would be agreed upon and side bets could be taken by the fighters themselves, their entourage and by the watching crowd. These early boxing matches in London were ferocious affairs with no referee to keep order; subsequently they were more a test of strength and brute force that skill and technique. James Figg – That all began to change when James Figg (pictured above) hit the boxing scene and brought with him all the fighting methodology he had learned from fencing. He was the first boxing champion of the modern era and from 1719 to 1730, had a little under 300 fights, winning every one of them. After his retirement he went on to set up the world’s first boxing academy, starting a process of legitimizing and organising boxing into a coherent sport where trained athletes could compete in relatively even contests against each other. 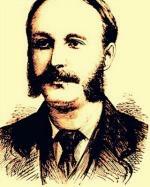 John ‘Jack’ Broughton – Possibly of even more significance to pugilism history was one of Figg’s students, John ‘Jack’ Broughton. Broughton was the bare knuckle boxing champion from around 1729 – 1750 and was so influential in the development of the sport, he became known as the Father of English Boxing. 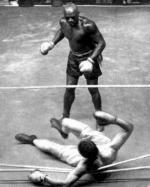 After one of his opponents, George Taylor, died as a result of injuries sustained in a fight with him, he introduced a number of rules and safety equipment. This act provideded the beginnings of regulation and gave some protection to the fighters themselves whose interests had up to that point, been largely ignored. The Broughton's rules as they became known were devised in 1743 and stated that if one contender was knocked down, he had until the end of a count of thirty to get up or the match would be over. Grasping and punching below the waste were outlawed as was hitting an opponent who was on the floor. 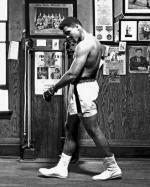 He also introduced helmets and a type of boxing gloves called "mufflers" for use during training which greatly reduced the damage done to boxers when compared to constantly getting hit (and hitting) with bare knuckles. 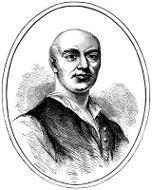 In 1750, a savage fighter named Jack Slack, grandson of James Figg, beat John Broughton (illustrated below) to become the champion. He went on to become the first international boxer of the period when he fought a Frenchman named Jean Petit. During the fight, Petit tried to strangle his opponent until Slack kicked him in the groin; the fiasco continued and later the French man was chased out of the ring. Slack is mainly remembered for being a dirty fighter as he is credited with inventing the ‘Rabbit Punch’ and having the distinction of being the first known person to fix a prize fight. It had been rumoured for years that he was crooked and had paid off some of the better fighters to lose in other matches to stop the top contenders challenging for his title. After losing it anyway to William Stevens in 1760 (also possibly a dive), a year later he paid Stevens to take a fall against George Meggs, Slacks protégé. 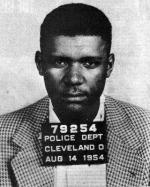 Tom Johnson - Others would go on to follow in Slack's footsteps and the art of boxing became corrupt in the coming decades. However towards the end of the century, there was a return to ‘respectability’ in the history of pugilism when the well-loved Tom Johnson became champ in 1783. He was a colourful character known to be an honest fighter though he loved to drink and gamble which, after retaining the title for eight years, eventually took its toll and led to him neglecting his training. William Futrell – William Futrell, a boxer from Birmingham was an undefeated fighter until he fought future champion ‘Gentleman’ John Jackson 1788 in a fight that lasted over an hour. Futrell’s main contribution however was to publish the first paper on the sport in the later part of the 18th century. Daniel Mendoza – Daniel ‘Mendoza the Jew’, who was the champion from 1791 – 1795, had a profound effect on how the sport would develop in the coming century in terms of fighting skill. Weighing in at just 160 pounds (73 kg), he emphasized speed and technique over strength and introduced the concepts of using footwork and counter punching to enable smaller men to have a chance against larger ones. He also introduced sparing and is credited with bringing sophistication to what was still an otherwise brutish game. John Jackson – Known as the ‘Gentleman’, Jackson came from a good background and though an excellent fighter, was champion for just one year in 1795. After three defences, he retired and went on to teach members of the aristocracy the art of boxing, counted among his more affluent students were Lord Byron and Lord Chesterfield. Boxing. [Internet]. 2013. Mott Community College. Available from: http://edtech.mcc.edu/~kcantrell/comw100/Project%202/page5.html [Accessed May 28, 2013]. Holland, G. [Internet]. 2008. History of London Boxing. BBC. Available from: http://www.bbc.co.uk/london/content/articles/2007/11/13/early_boxing_history_feature.shtml [Accessed May 28, 2013]. Poliakoff, M. [Internet]. 2013. Boxing. Britannica. 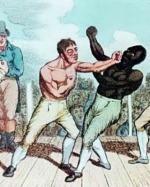 Available from: http://www.britannica.com/EBchecked/topic/76377/boxing/29782/The-bare-knuckle-era [Accessed May 28, 2013]. Southorn, M.C. [Internet]. 2005. 1750-1791: The Fall and Rise of the British Prize Ring. East Side Boxing. Available from: http://www.eastsideboxing.com/weblog/news.php?p=5475&more=1 [Accessed May 28, 2013].